They're both a guilty pleasure and a national obsession rolled into one. 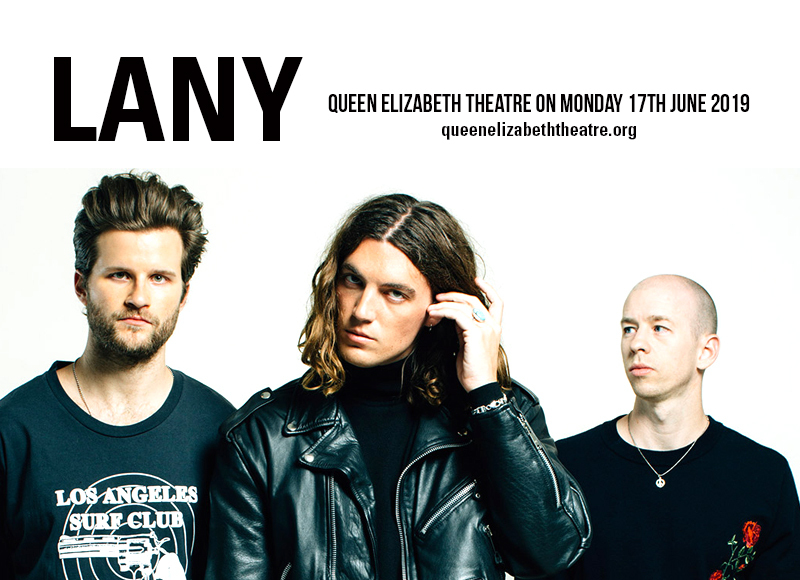 LANY is coming to town and bringing their "Malibu Nights" tour at the Queen Elizabeth Theatre on Monday 17th June 2019. This indie-dreamy pop trio who is making massive hits out of hookups that end in breakups, attract massive young audiences and the adulting crowd. With stories of their international success, LANY is one of the bands who could hit the top spot of trending topics. Hence, fans from their home country have missed them so bad, that tickets have been selling so fast as of late. Don't be left behind. Grab those tickets right here, right now. For a band who named themselves LANY — a 'stylized' acronym that stands for 'Los Angeles to New York', has definitely gone beyond two of the biggest cities in America. They have traversed the world through their music, in leaps and bounds. Back in 2014, buddies Paul Klein on vocals, keyboard and guitar, Jake Goss on drums, and Les Priest on keyboard, guitar and vocals, put the band together and worked on their music on a computer and within the confines of their bedrooms. They chose to keep their identities secret at first due to the individual projects they were working on. Anonymously, they uploaded “Hot Lights” and “Walk Away” on SoundCloud. Later on, they surfaced as LANY with the release of the singles “Made in Hollywood” and “Bad, Bad, Bad”. LANY's fusion of pop and rnb with an easy groove began to spread online. Pretty soon afterwards, LANY has found themselves playing in major festivals like Bonnaroo, Sasquatch and Firefly. They also performed at the 2015 Lollapalooza festival and supported acts with the likes of Twin Shadow, Tove Styrke, X Ambassadors, and Troye Sivan, among others. In 2015, they were signed by a major label, then were touring the UK in support of Ellie Goulding. As they were releasing hit-after-hit-after-hit with songs like "ILYSB", "Super Far", "Good Girls", "Pink Skies", "Current Location", and many more, they were headlining tours around Europe, the United States, Canada, and many parts of Asia. Catch Lany while you can, before they're up, about, and around the world again. Book your tickets now!